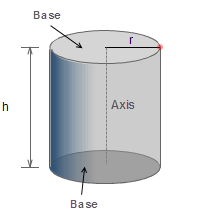 A base is one side of a polygon, usually used as a reference side for other measurements. Most often used with triangles. 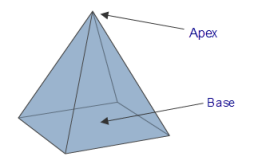 In the case of a triangle, a common way to calculate its area is 'half of base times height' where the 'height' is the altitude, or the perpendicular distance from the base to the opposite vertex. The base can be any side, not just the one drawn at the bottom. To calculate the area you must use the altitude that is at right angles to the chosen base. Choose any convenient side to be the base. In an isosceles triangle, the base is usually taken to be the unequal side.